If you are on the new mail package called "Mail Forwarding" the content below does not apply (we are not able to offer Direct Debit with this package yet). A direct debit can be set up to take automatic payments from your bank account (we use GoCardless as our Direct Debit provider). If you do not have an outstanding payment but still want to set up a direct debit, please email your request to cosec@madesimplegroup.com along with your company name and account number, and you will receive instructions on how to set this up. In left-hand panel, click Payments and then Outstanding Payments. Next to the service, tick the checkbox and then click the Pay now button. Proceed to the checkout and select Set up automatic Direct Debit payment (via GoCardless). 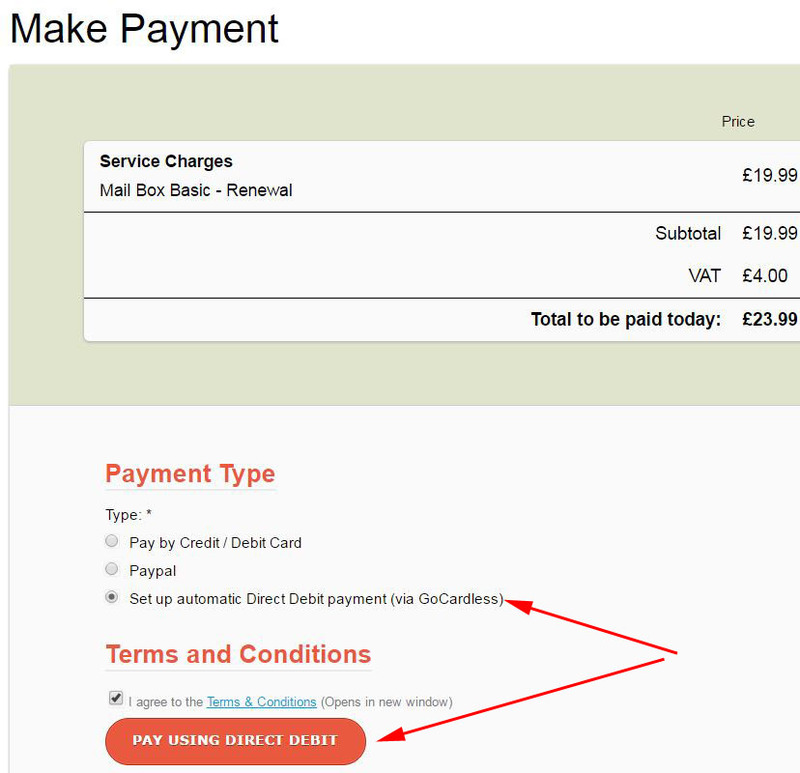 You will need to agree to the terms and conditions, then click the Pay using direct debit button. You will receive a confirmation email once the direct debit is successfully set up. The first payment debited from your bank will be within 3 working days after the date the direct debit was set up. 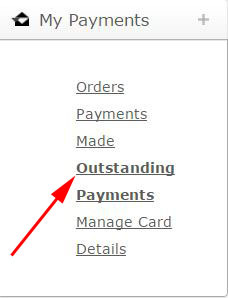 This payment will be the 'outstanding payment'. Subsequent payments will be taken automatically on a monthly basis from the date your direct debit was set up, eg, if your direct debit was set up on the 7th of the month, payments will automatically come out on the 7th of each month .